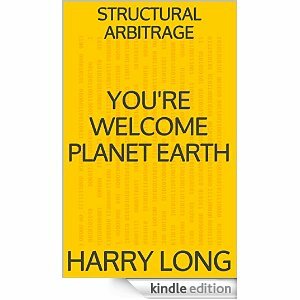 Harry Long is the inventor of Structural Arbitrage and Hedged Convexity Capture and is the Managing Partner of Zomma, the world's most innovative strategy index creator. Mr. Long is a globally recognized expert on the research and development of quantitative investment strategies. Zomma's extensive intellectual property portfolio of strategy indices is sought after by asset management firms, hedge funds, principal trading organizations, index providers, ETP sponsors, and private equity firms to help them develop and deploy active manager-crushing quantitative investment strategies. The firm's "You're Welcome Planet Earth" series of books on evidence-based quantitative investment strategies has brought institutional-strength strategies to a wider audience. Zomma helps investors create long term value by replacing reckless human decision making with cutting-edge technology based upon objective evidence. Mr. Long is a graduate of Rice University with a B.A. in Economics. Getting uncorrelated may intuitively seem to be about return generation, but in practice, it is about hedging. Everything else being equal, multiple forms of effective downside protection are key to getting uncorrelated. VIFL Food Technology Service Inc. In "You're Welcome Planet Earth," Harry Long succinctly outlines a systematic approach to trading which crushes the performance of popular equity indices and has a low correlation to the S&P 500. His work is powerfully original, elegantly simple, and mathematically compelling. And until now, his revolutionary research has only been available to Wall Street insiders. This book will change the way you look at markets forever.